List Rules Vote up the creepiest Spongebob Squarepants fan art that seriously messes you up. Given the size of the Spongebob Squarepants fandom, it's no surprise that there is a plethora of weird Spongebob fan art. From adult jokes in Spongebob Squarepants to inappropriate situations, the show has inspired its own share of ever-so-filthy behavior. 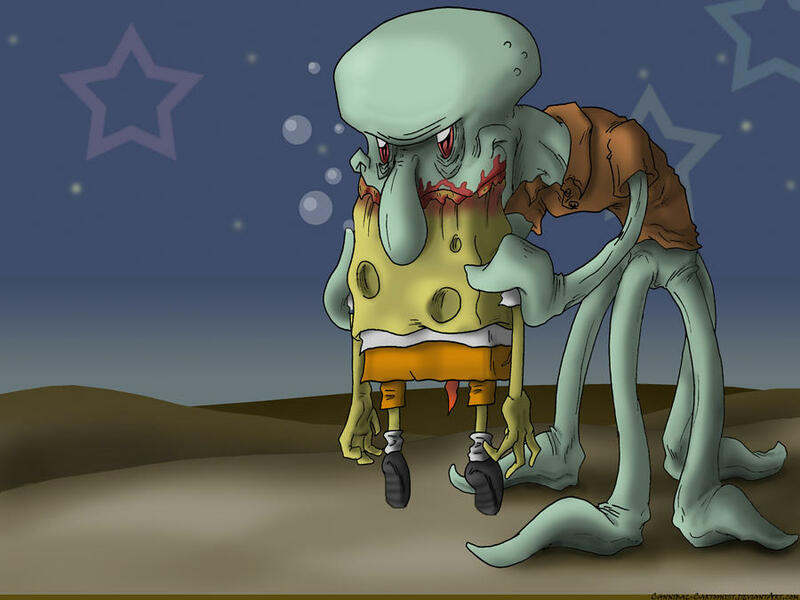 So, it's not surprising to see creepy yet skillful Spongebob fan art scattered across the Internet. Once you see these images, you certainly won't be quick to forget the horrors you have witnessed. This list is a compilation of the craziest and weirdest fan art of Spongebob Squarepants. It ranges from plain horror to the psychologically messed up, and showcases talented artists who dabble in dangerous ideations. The art will transport you to the darkest corners of Bikini Bottom. Which piece of strange fan art is the most insane? You decide! Vote up the most freakishly insane artworks of Spongebob Squarepants. Spongebob and Patrick come to life in this terrifying piece by the talented Miguel Vasquez. Matthew J Wills saw the signs and artfully illustrated Spongebob's gruesome fate. Artist WereSandrock reveals that Spongebob and Patrick need some real help. Artist ChronicBoredom captures how the darkness of the abyss has transformed Spongebob.